In a nutshell I have a passion for sharing information I have learned about teaching, coaching, mentoring, leading, and motivating for over four decades, encompassing various roles from professor to senior college administrative leader; Red Cross swimming instructor; professional ballroom dance instructor; college basketball coach; parent; and public speaker. My goal, whenever I present, is to in some small way be useful, helpful, affirming, and inspiring to my audience. Whether in a college classroom, on a basketball court, at a business conference, delivering a keynote presentation to college faculty and staff, at a public or corporate venue, or during an appreciative inquiry facilitation with a group or organization, my objective is to touch my audience in a manner that is meaningful, memorable, and relevant to them. 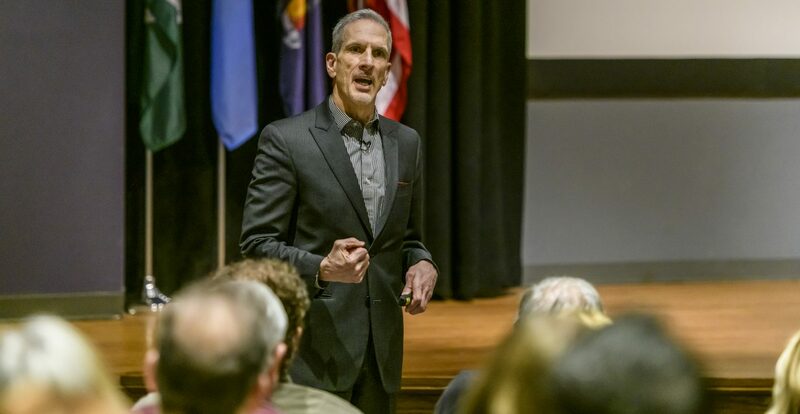 I want to enrich, empower, and inspire those people that I am privileged to serve through my presentations, as I share insights into how we can bring out the very best in each other. Me and my better half Marilyn.